Produced here in Michigan, this mulch is shredded twice with soft binded fibers. Hardwood is one of the darkest browns you can get. Sold in bulk and by the bag. A shredded mulch produced in Michigan, cedar mulch maintains a golden brown color that can sometimes reflect a reddish hue. Sold in bulk and by the bag. Pine is the most aromatic Michigan-produced mulch we carry. 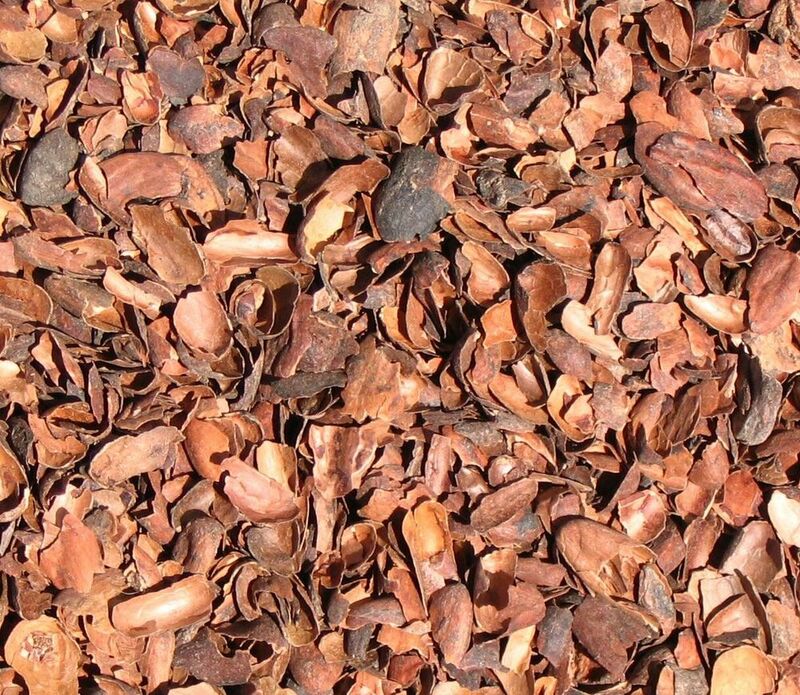 Ground up from the entire tree, it is a shredded mulch that has dark and lighter brown variations in color. Sold in bulk and by the bag. 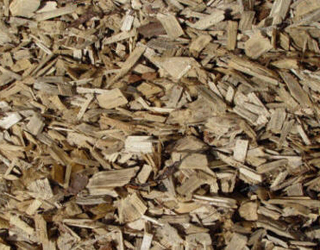 A Michigan product, woodchips are made up of mostly ground up trees. They are larger in size due to being chipped instead of shredded, and maintain a blonde color. Sold only in bulk. Produced here in Michigan, these are our most brilliant colored versions, enhanced with a natural vegetable dye that is eco-friendly and non-toxic to animals and plants. All dyed mulches are made from 100% hardwood mulch and NOT from ground up pallets. Sold in bulk and by the bag. Cocoa Shells are produced from the shells that come off of the cocoa bean during the roasting process. It has a rich chocolate smell and maintains a very dark brown color. Sold by the bag only. 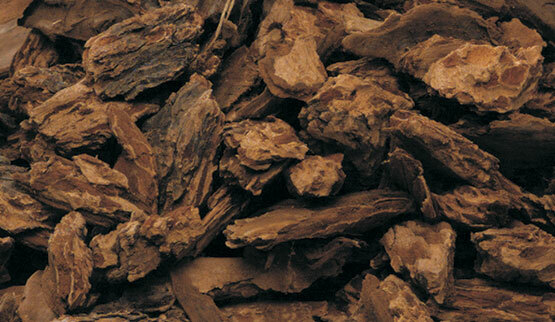 Western Bark is a larger, chunky bark that is dark brown in color. Sold by the bag only. Southern Pine Bark Nuggets are reddish brown in color and come in chunky pieces. Sold by the bag only. Mushroom Compost is an organic mulch with a dark brownish grey color that is typically used for planting. It is also great to mix with hardened up topsoil or dirt to soften planting areas. Sold by the bag only.